with faster action than the oxygen of hydrogen peroxide. and just letting the color change happen. in hair that is rubbery and damaged. of the wire, stabilizes the pH and restores the capillary mass. It protects the hair fiber during the discoloration process, preserving the integrity of the yarn, allowing the product to exist for a longer time without causing damage to the hair. 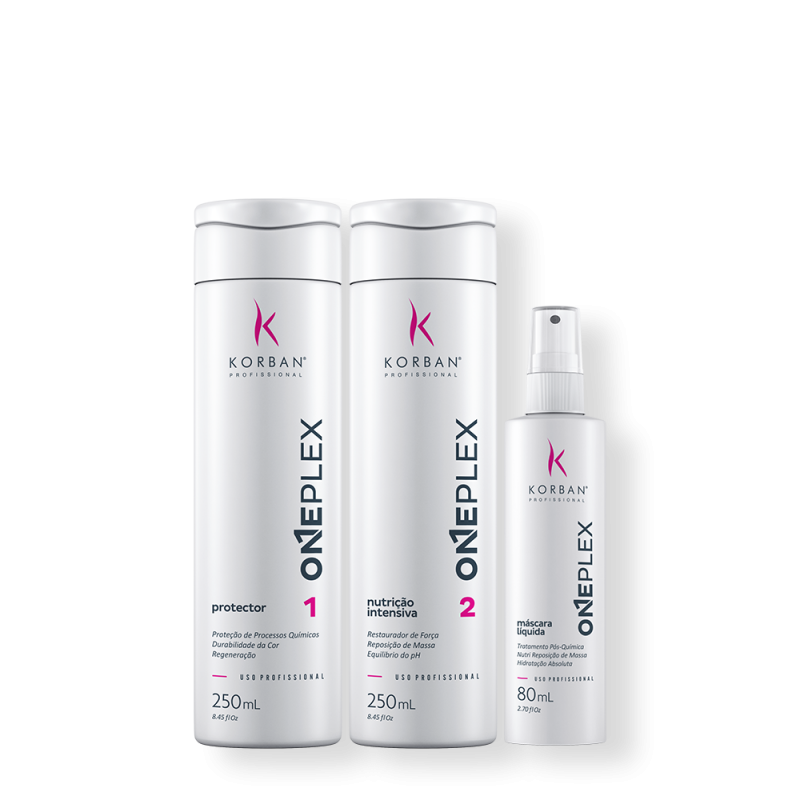 In addition, it can be used in extremely damaged hair with reconstructive and restorative action. It can also be used with Instant Regeneration because it is made with amino acids that repair the damage and the porosity and seaweed extract that provides protection, repair and nutrition, resulting in strong and healthy hair. Post-chemical moisturizing re-builder, made with keratin, amino acids, collagen and marine algae that acts to rebalance the pH and realigning the cuticles, reducing porosity, restoring the hair mass, restoring strength and strength to hair. It offers the most modern cosmetic technology of yarn transformation. Its concentrated formula offers multiple benefits in just 3 minutes of action: nutrition and mass replenishment, hydration, cuticle sealing and absolute brightness. Made with vitamin E, which has antioxidant, moisturizing and emollient action, Moringa Oil, with emollient and nutritive action, Grape Seed Oil, which imparts nourishment and shine to the hair, and Macadamia Oil that deeply moisturizes and replenishes the Lipids. Add from 5 to 10 ml, directly on the cumbuca containing the mixture of discoloration, staining, progressive or smoothing. Discoloration: The proportion of 5ml should be respected for each 50grs of Decolorizing Powder. Coloring: use 10ml for each coloring tube of 60grs. Progressive: use 5ml every 50ml of progressive. Smoothing: use 10ml every 100gr smoothing. Apply to hair immediately after rinsing the chemical (bleaching, staining or straightening). Distribute over the wires while always respecting the alignment of the wires, letting them act for about 5 minutes. Rinse and then apply the shampoo and conditioner. Wash the hair only with Shampoo, apply the Protector – Step 1 directly on the damaged wires, leave to act for 20 minutes, then (without rinsing) apply the Intensive Nutrition – Step 2, massage the hair well, take a break of 10 minutes , rinse and finish as desired.